Working-class people often get blamed for their troubles. They should have planned better, been less demanding, or just been smarter. Those are just some of the judgments that surfaced again in the weeks after General Motors' announcement late in November that it would close five plants in the U.S. and Canada, leaving thousands of workers without jobs. While some expressed concern for the soon-to-be displaced autoworkers, many were quick to point fingers. One person commenting on the Washington Post's story about the announcement wrote that the autoworkers, many of whom had voted for Trump, "deserve what they get. To fall for the simplemindedness and con-man character of a Trump makes sympathy hard to muster." Callers on National Public Radio's 1A wondered why GM workers hadn't realized that their jobs were not secure. How could they be so foolish? Others complained that the workers should have been better prepared. Why hadn't they gone to college or pursued training for some other kind of working-class job? That blame extended to working-class communities: why hadn't distressed rust belt and rural communities diversify their local economies, as Pittsburgh or Cleveland had done so successfully? Others suggested that workers should move to where the jobs are. As Eduardo Porter suggested in a New York Times op-ed about how to address the decline in rural communities, instead of trying to save dying towns, the government should implement policies to help people move to cities with better economic opportunities. After two decades of tracking both the social costs of deindustrialization and American discourse about the working class, we found all of this beyond frustrating. 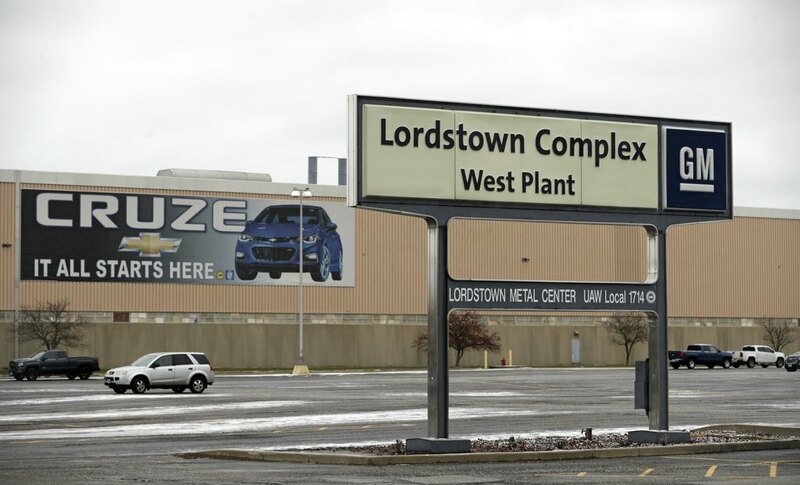 In the Youngstown area (where we live part of the year), workers at the nearby GM Lordstown plant knew that their jobs were at risk, because the company had already laid off two shifts. But they remained hopeful. While some may have believed President Trump, who told his supporters in Youngstown that the jobs lost when GM laid off its first shift in January 2017 that those jobs would be coming back. "Don't move. Don't sell your house," others thought that GM had an obligation to American taxpayers and to its workers. GM is profitable today because of a Federal bailout and state tax abatements, not to mention union concessions that lowered labor costs. As for the argument that workers should have pursued training so they would be prepared to move to new jobs, blue-collar workers in deindustrialized communities know from decades of experience that retraining programs often fail. Amy Goldstein documented this powerfully in Janesville: An American Story, her award-winning book about how the 2008 closing of the GM plant affected that Wisconsin community. And despite evidence that college graduates earn more over their lifetime than those without degrees, numerous reports make clear that a college degree is no guarantee of a good job. Nor is college an affordable or manageable option for many workers, especially those who work full-time. The notion that smaller rust belt communities like the Youngstown-Warren area haven't tried to diversify their economies reflects basic ignorance. Mayors, economic developers, and business leaders in these communities have done almost nothing but try to attract new industries, but – not surprisingly – they have a much harder time doing that than their larger neighbors, which began the battle for economic recovery with major universities, hospitals, and corporate headquarters already in place. And of course, the popular narrative that cities like Pittsburgh and Cleveland are booming ignores the continuing struggles of many in those areas and surrounding towns. Those who suggest that people should simply leave these communities have also not been paying attention. People have been leaving these areas for decades, starting during the early 1980s when the steel industry closed dozens of plants. As Dale Maharidge and Michael Williamson noted in their 1985 book, Journey to Nowhere: The Saga of the New Underclass, deindustrialized spurred a significant migration of industrial workers, many headed to places like Houston in search of new jobs in the oil industry. Since 1970, Youngstown's population has dropped by about 85,000 people. Trumbull County next door, where the Lordstown plant operates, lost about 30,000 people. Given the long-term economic struggles of the region, we might expect those numbers to be higher, but many people stayed despite the area's limited opportunities. Why? Because along with deep roots, they have friends and family who help each other get by in hard times, and a poor economy keeps the cost of living low. For many, their most significant economic assets – their homes – are not portable or worth enough to make selling worthwhile. In the Mahoning Valley, people can often get by on part-time jobs and the informal economy of barter and DIY. But our frustration isn't simply about judgment and misinformation. It's about how blaming working-class people distracts us from the larger problem the GM shutdown reflects: a global economic philosophy that deepens inequality, creating prosperity for some at a cost to many others. As Thomas Friedman noted in a recent New York Timescolumn, a "liberal global order" based on "free markets, free people and free ideas" has spread "prosperity around the world" No doubt, global capitalism has improved the economic conditions, if not the political power, of many of the poorest workers around the world, even as many workers are losing ground. While Friedman acknowledged this, it doesn't seem to have occurred to him that a growing inequality gap ought to raise questions about whether the free market works all that well. But inequality is baked into capitalism, and its effects have been exacerbated by technologies, policies, and corporate-centered ideologies. While many commentators blamed workers for not being savvy enough to succeed in a struggling economy, few questioned GM CEO Mary Barra's upfront statement that her primary focus was on "maintaining shareholder value." Blaming the working class has long been a default move for elite and middle-class people. Some have faith in the cultural myth of meritocracy. They see their success as a matter of effort and talent and assume that working-class people just don't have enough of either. For others, judging workers is a way to displace their own anxieties about the uncertain economy. Both project their biases onto the working class and reassure themselves that they deserve their economic privileges. No wonder working-class people are rejecting mainstream politics, embracing populism, and, increasingly, taking to the streets.